In 2003, Mervyn King – then Bank of England governor – noted the UK was in non-inflationary constantly expansionary mode. He did warn, however, that things could not stay NICE forever. Few economists dare offer positive soundbites now, even as they grudgingly note an improved near-term outlook. 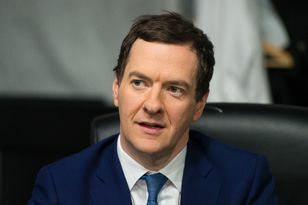 Thus this week’s UK Budget debate focused not on the economy, but on changes to savings policies: retirees no longer have to buy an annuity, and tax relief has been expanded with New Individual Savings Accounts (NISAs). The changes are welcome: saving looks a bit more attractive than it did, and the post-crisis trend towards greater simplicity and liquidity in savings products has been given a boost. Some commentators look a little over-excited, however. The changes will have little macroeconomic impact in the short or even long term. The savings ratio is not about to double overnight (thankfully: it would be bad news if it did, as the economy would plunge instantly back into recession and the funding of our aggregate pensions would get worse, not better). Extra inflows to NISAs might have been saved anyway, and consumer confidence and the labour market are bigger influences on savings behaviour. And many consumers may not be best placed to decide about pension drawdowns (hence the requirement that advice be taken – a lesson learned perhaps from the liberalisation of credit and the advent of interest-only mortgages). If anything it is a pity that more attention isn’t being paid now to the macro outlook. This week’s UK jobs data again point up the possibility that output has been under-recorded (as it easily can be at this stage of the cycle). The budget deficit can fall more quickly than the Office for Budgetary Responsibility projections suggest. This is not to say that it’s plain sailing – let alone NICE – from here. In the US, Federal Reserve Chair Janet Yellen reminded us, just a few hours after Chancellor George Osborne sat down, that markets may be too complacent about interest rates. A rethink on the speed with which US and UK rates might rebound is – after the short-term geopolitical risk posed by the Ukraine – the most likely source of resumed volatility in markets. But we expect the main event to proceed in a similar way to this week’s dress rehearsal – with bond prices staying lower, but stock markets regaining their poise.